This microfiche includes an editorial published in the May 1865 issue of the New York Medical Journal. 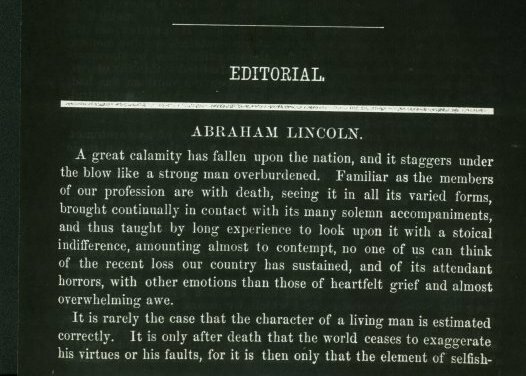 The editorial describes President Lincoln's character and the significance of the country's loss with his assassination. The article ends with a call for Americans to learn from this tragedy and to become "wiser and better men."